SUMMARY: Lyssa belongs to a generally peaceful population of otherworldly and gifted beings who occupy a world above our own. Invisible to us, they witness and record the lives of the humans below. Lyssa is a Watcher, assigned to document all incarnations of Jasper’s existence, and at the end of each life, she visits and assists her charge through their reincarnation. With each rebirth, Jasper forgets Lyssa. Desperate to save the man she loves, Lyssa pierces the protective Veil between the worlds but an ancient evil of the world above unfurls a vengeful plan of destruction. Jasper and Lyssa struggle to untangle the web of his previous incarnations and realise the extent of their love, which has a very real manifested power in forcing the darkness back. THE BACK STORY: The content and supernatural/fantasy elements perhaps indicate a suitability to a young adult audience however my approach was not absolute in that regard. Though the setting and abilities of the characters are fantastical, the overarching themes are universal and not merely targeted to young adults; fear, faith, love, duty, honour, courage, lust, pacifism, fulfilment and philosophy. Certainly my impetus for attempting to create this fiction was a general frustration at how many stories existed where the male character offered intrigue, mystery and a special quality, while the female character was often hapless, helpless or simply enamoured, with very little substance. My intention was to reverse that dynamic (a trait now thankfully becoming more common in popular culture) whilst still retaining a powerful soulful connection between the lovers and a more impactful role for the ordinary individual to play in the larger story. 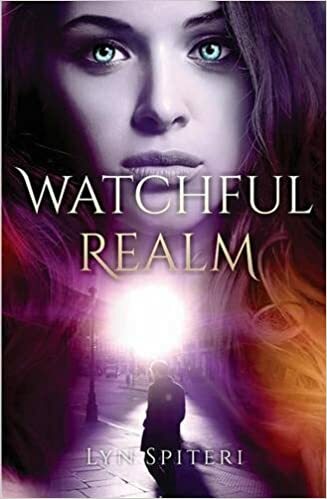 WHY THIS TITLE: I was very interested in conveying Lyssa’s role as Watcher in the title, while Realm gave it a more fantastical element. WHY SOMEONE WOULD WANT TO READ IT: Of potential interest to some is that rather than most YA-type novels, in Watchful Realm, my main (and supernaturally special) character is a female, with the male character being the human and entry point character for the audience.